Falabella Horse presented by Club Cavallo Italia, for you. The Falabella Horse! The Smallest Horse in the World! The Falabella Horse is a miniature horse but it is not a pony, as it often happens to feel, even if the perfect proportions and the conformation are decidedly different from the ponies, and it has all the typical characteristics of a horse of normal stature: they are only quite reduced but perfectly related to its size. From more than 150 years, the Falabella Horse Breed is bred in the Ranch Recreo de Roca in Argentina, owned by the Falabella family, from which the Breed takes its name. The history of the Falabella Horse is quite recent and begins in 1845 when Patrick Newell, an Irish man who emigrated to Argentina, saw horses a little more than a meter tall along with other horses of normal stature, all owned by some Indian tribes, they watered along a river because they used to bring their water to water in the river that crossed the property of Newell. Newell then, intrigued, went to talk to the Capotribu to buy some of these small horses and was told that those horses were suffering from a disease that they called “the disease of the dwarf” and that he could then take them without any problem. Newell did not have to pray, took some specimens and started working on the breed and, as early as 1853, he could be proud of having created a new breed with very well-defined characters. After the death of Patrick Newell the project was carried out by his son-in-law, Juan Falabella, a man with great experience on how to breed the new breed, which made several crossing with other breeds of horses, also introducing lines of English thoroughbreds (naturally chosen between those with the smallest possible stature), Ponies Shetland and the Criollo Horse, a local breed that has developed in the wild for natural selection. At the beginning of the 900 the development of the new breed of the Falabella Horse was conferred to Emilio Falabella until 1927 when all the breeding of Falabella horses passed to Julio Cesar Falabella. Julio Cesar began to keep a precise record of the genealogical tree of the Falabella Horse, specifying all the blood entries and managing at best the characteristics he wanted to become effective in the new race. In this way, while the “dwarf disease”, as it was called by the Indians of the Pampas, kept intact its dominant gene traits despite the fact that several years had passed, Julio Cesar introduced the blood line of the Appaloosa Breed into breeding. origin of North America, which gave rise to the stained mantle. Giulio Cesar crossing the Falabella Horse with the breed of Horses Hackney. To guarantee the rarity and the value of the breed, Julio Cesar wanted to sell only a few examples of the Falabella Horse to a few select clients, among whom the then President of the United States John Fritzgerald Kennedy stands out. The purebred Falabella horse must not exceed 85 cm in height at the withers and the foals, which do not exceed 40/43 cm shortly after birth, in the first year grow very rapidly reaching almost the height of an adult Falabella Horse. The head of the Falabella Horse is very fine and characterized by an almost smooth and straight profile, the eyes are cheerful, very lively and the ears are always very careful. As you can easily imagine, his limbs are decidedly thin with small, round hooves. The only difference of the Falabella Horse from the horse of normal stature, besides the dimension, are the ribs and the vertebrae in smaller numbers. All these features mean that the Falabella Horse is not, of course, suitable for the saddle but is ideal as a friendship because it is very docile and gentle, kind and is a good jumper to keep in the garden but absolutely not at home. The Falabella Horse is a long-lived and robust breed, it is not afraid of the cold and is willingly among the people but becomes sparkling when it is in her own herd together with the females. 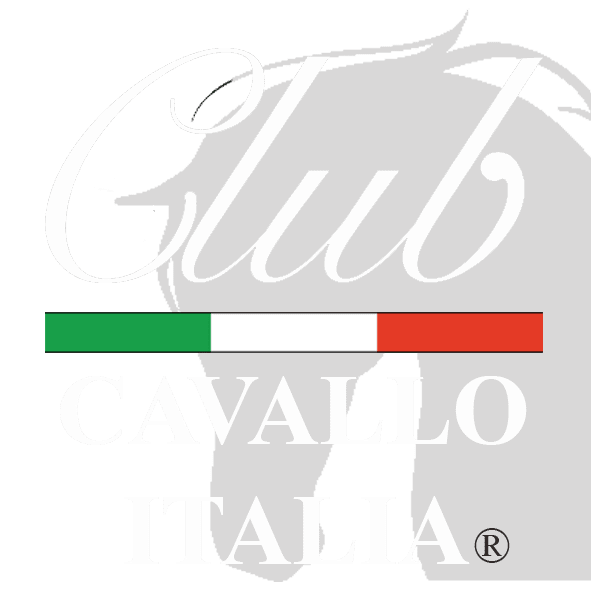 Just a moment, please: if you liked the Falabella Horse, send the page link to those who will appreciate it, we will be very happy and if you want to write us: info@clubcavalloitalia.it We always answer. Thank you again. And now a good video of a Falabella Horse born yesterday. Good fun. Thanks again for your visit and come back soon. You are always very welcome.